A holiday weekend often means time for great get-togethers with family and friends. My family was invited to a cookout this weekend, so that also means time to figure out what to take. I just received a box of new Wild Oats organic products (new affordable organic products line now sold at Walmart) that included a can of black beans- so I knew just what to make, salsa! It was a hit! The Wild Oats tortilla chips went with it perfectly; crisp and just the right amount of saltiness. 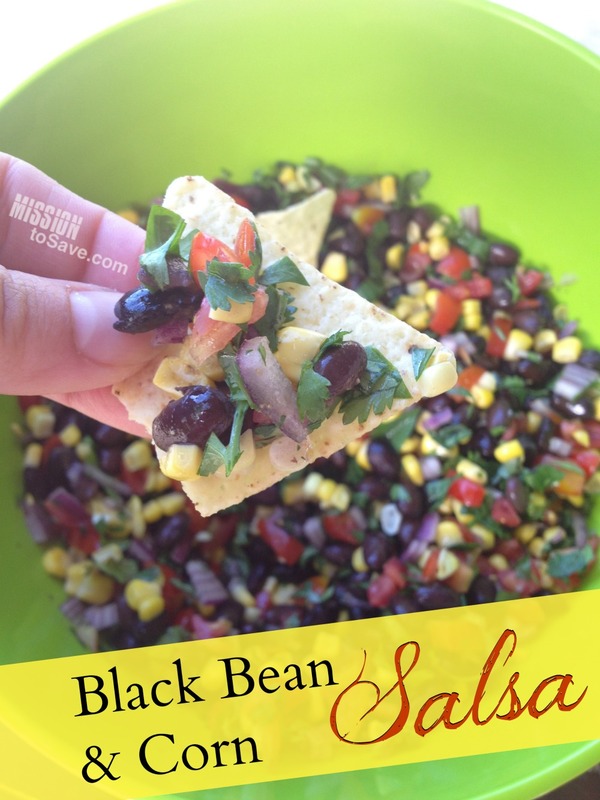 Below is the (easy-peasy) recipe for my fave Black Bean and Corn Salsa. Be sure to rinse and drain the black beans first. Pick off just the leaves. Roll them up in a bundle. You may need to do a second cut horizontally. Mix all ingredients together in a bowl and chill. Adjust cumin and veggie measurements per taste.